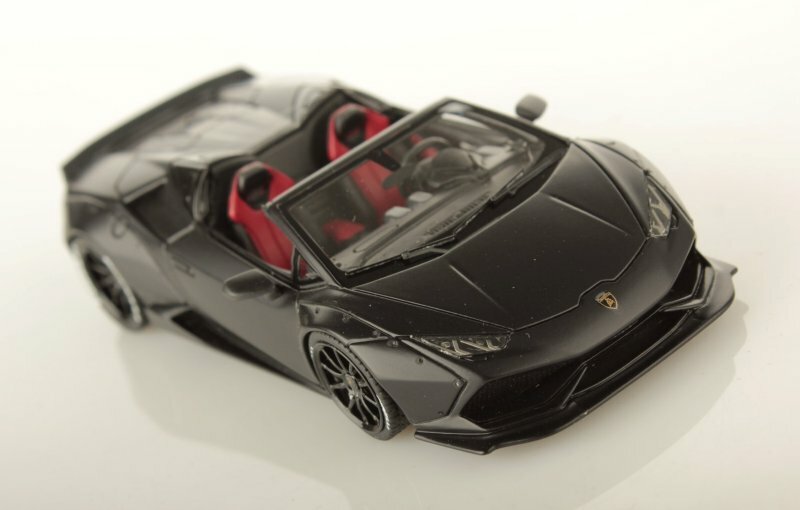 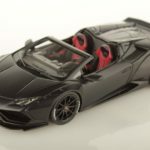 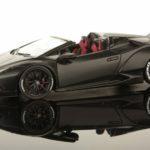 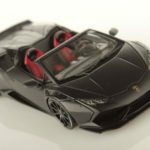 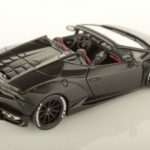 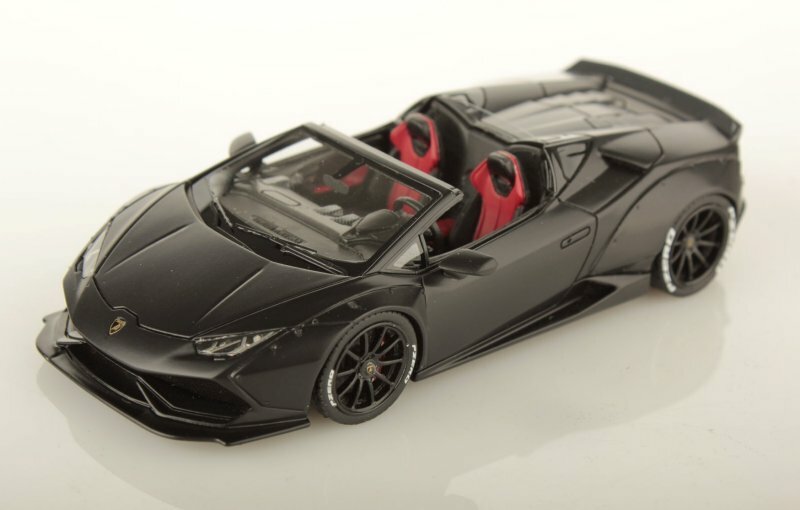 More Lamborghini goodness comes from Looksmart in the form of the 1:43 Huracan Spyder Aftermarket. 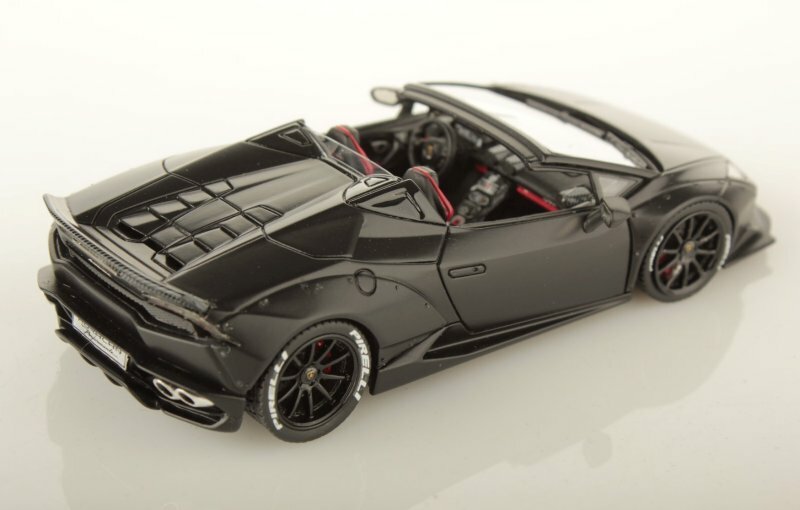 The latest colour is Black, also known as Nero Nemesis. 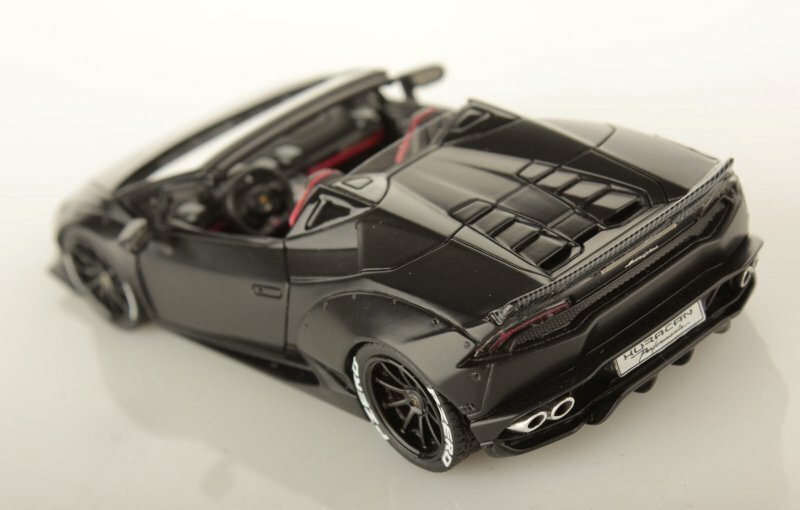 Black wheels with White script accelerate the tuner feel. 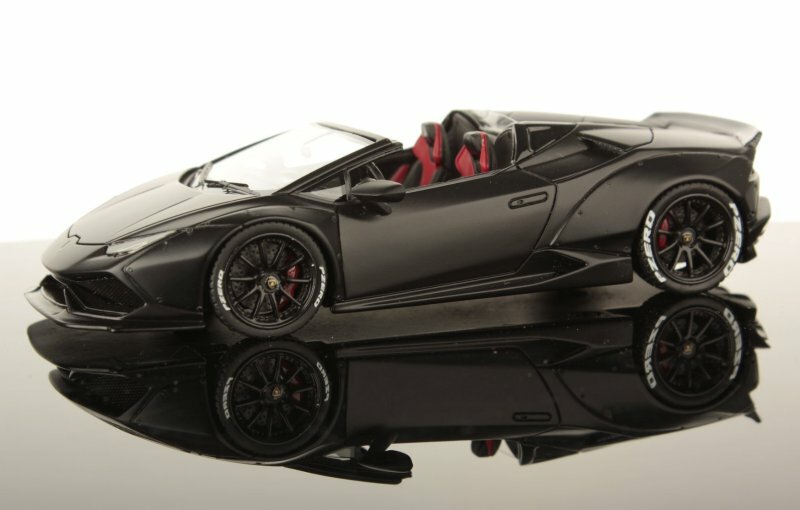 Inside the interior is completed with a Black and Red theme.